The mission of PulmonaryHypertensionRN.com is to provide an informative and educational resource for pulmonary hypertension patients, their families, friends and loved ones. The site aims to educate and serve as a springboard for people seeking a better understanding of the disease, its symptoms, treatments and implications for daily life. All information on this site is reviewed and edited by a Medical Doctor and Registered Nurse specializing in pulmonary hypertension. 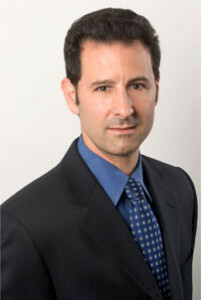 Dr. Jeremy Feldman attended University of California San Diego for medical school and then trained in Internal Medicine at Harvard’s Brigham and Women’s Hospital. He continued on to University of California San Francisco for pulmonary and critical care training. He completed his fellowship at Stanford University where he was the Ebay Fellow in Pulmonary Vascular Disease. Dr. Feldman’s involvement in pulmonary vascular disease dates to his residency at Harvard where he completed a mini-fellowship in Venous Thrombo-embolism with Dr. Goldhaber. He then worked with Dr. Demarco at UCSF and finally at Stanford University he worked closely with Dr. Feinstein and Dr. Doyle. Since completing his training and relocating to Arizona in 2004, Dr. Jeremy Feldman and Dr. Greg Ahearn have built one of the largest pulmonary hypertension centers of excellence in the United States. He is nationally recognized as a leader in pulmonary hypertension and has been on the forefront of aggressive combination therapy. Dr. Feldman has developed a premier research program advancing the care of patients with pulmonary hypertension. Dr. Feldman’s clinical interests include pulmonary vascular disease, complex hemodynamics, interstitial lung disease and dyspnea of obscure etiology. When not working, Dr. Feldman enjoys cooking, the company of his two standard poodles and his new bride. He can be found exercising in the gym and enjoying delicious ethnic food around the valley. While this site strives to provide the best, most accurate information available, it is not a substitute for the advice or diagnosis of a qualified physician. One should not base their medical care or decision making solely on this site. Rather, it is our hope that this site will serve as a catalyst for dialogue with your physician that may lead to a better quality of life for those living with pulmonary hypertension.